If spending all day in the kitchen on Easter Sunday isn’t your thing, consider one of these fun Easter Brunches! Here are our picks for Family Friendly Brunches happening on Easter Sunday.  Cost: $37 for adults $13 for kids under 10 easter egg hunt on the beach behind the restaurant at 1:30.  Cost:$25 for adults with bottomless mimosas and $10 for kids. 讀 About: Along with a brunch buffet, the Gulf on Okaloosa Island will be having an Easter egg hunt and other fun activities starting at 1PM.  Cost: $30.95 for adults and $14.95 for kids ages 3-10. 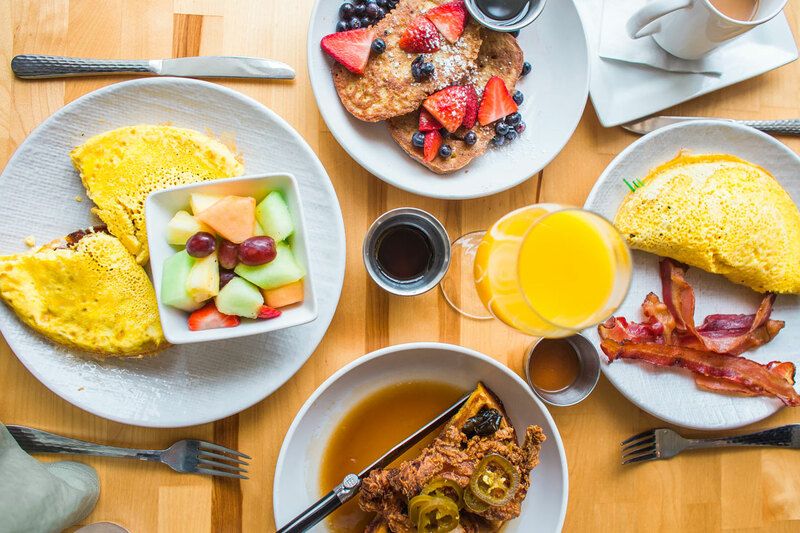 讀 About: The brunch buffet will have many options, including carved prime rib and honey ham, shrimp and grits, and many other brunch foods! They’ll also have bottomless champagne and $5 Bloody Marys. Reservations are recommended and the Easter Bunny will be on the Mainstage at Harborwalk for your little ones to visit after brunch!  Cost: $30.95 for adults and $14.95 for kids 10 and under. 讀 About: Brotulas is hosting an Easter Brunch Buffet that will feature an omelet station along with several brunch and lunch options. The drink specials will be bottomless mimosas for $14 and $5 Bloody Marys.  Cost: Prices differ depending on the meal. 讀 About: They’ll be serving a fantastic brunch menu, along with bottomless mimosas and a Bloody Mary Bar. The Easter Bunny will be there passing out eggs to all the kids! Hopefully these suggestions will help make your Easter Sunday less stressful and more joyful. What do you have planned for Easter?